Originally from Val d’Or, Quebec, Jacques has been passionate about tennis for more than 35 years. 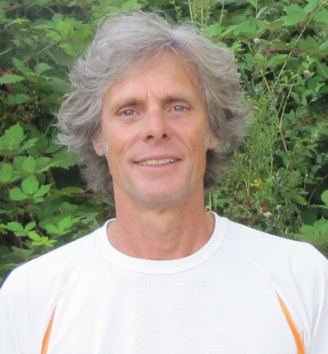 He has been hooked on the Sunshine Coast since 2000 when, after taking his certification with Tennis Canada, he began running programs for the Sunshine Coast Regional District. Following his dream – “I always thought being a tennis pro was the best job in the world” – he continued his certification and worked at Hollyburn Country Club in West Vancouver and the Arbutus Club in Vancouver. Along the way, he kept his connections on the Sunshine Coast and was a familiar face when the club was located in the Wakefield Bubble. He became Suncoast Racquet Club’s pro when the new facility opened in 2008. The popular Jacques runs clinics, gives private and group lessons to members, as well as to the public.